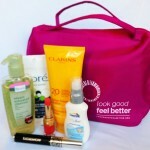 SAN FRANCISCO, CA – Breast Cancer Action (BCAction), the respected watchdog for the breast cancer movement, today launched a campaign calling out the Personal Care Products Council (PCPC) and the American Cancer Society (ACS) for including cosmetics containing harmful chemicals in kits they give to cancer patients through their Look Good, Feel Better® program. Many of the donated products in the kits contain chemicals linked to increased cancer risk. As if that’s not bad enough, some of the chemicals in Look Good, Feel Better products may actually interfere with breast cancer treatment. The health of the program’s volunteer cosmetologists is of additional concern; a recent study found that breast cancer risk for workers in this profession is five times higher than the general population. Chemicals of concern include formaldehyde releasers, which continuously release small amounts of the known carcinogen formaldehyde; Teflon, which can be contaminated with a possible carcinogen shown to alter mammary gland development; and multiple endocrine disruptors, including methylparaben, which may interfere with the common breast cancer treatment Tamoxifen. The Look Good, Feel Better program provides free workshops, beauty tips and complimentary makeup kits to women in cancer treatment, which many women value when facing a cancer diagnosis. 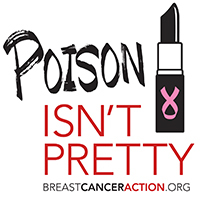 BCAction’s “Poison Isn’t Pretty” campaign calls on these industry giants to refuse the involvement of any corporation that uses chemicals in their products linked to increased cancer risk or which may interfere with breast cancer treatment in their Look Good, Feel Better program. Since its launch in 2002, Breast Cancer Action’s Think Before You Pink® campaign has called for transparency and accountability in breast cancer marketing and pink ribbon promotions. BCAction coined the term pinkwashing to describe a company or organization that claims to care about breast cancer, but at the same time produces, manufactures and/or sells products that are linked to the disease. Breast Cancer Action is a national education and advocacy nonprofit organization whose mission is to achieve health justice for all women at risk of and living with breast cancer. BCAction has a strict conflict of interest policy and refuses to accept corporate funding from companies or organizations that profit from or contribute to the breast cancer epidemic.